It is obvious that nowadays business has to be online and bags shops are no exception. And you can save money if you use the website theme. Yet, it must be professionally developed and easy to install a theme. 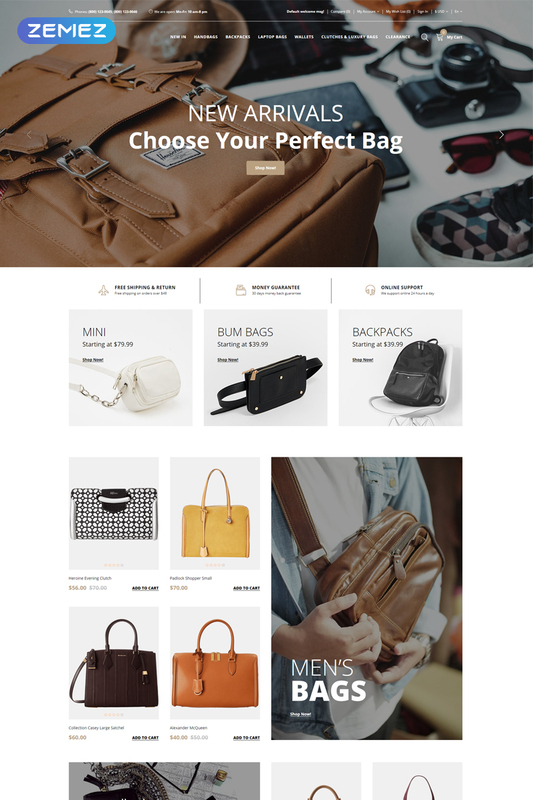 This is why we present you a G. Bags Opencart Theme. Developed by an experienced team of designers G. Bags looks clean, yet stylish. It is a perfect choice for a bag store, wallet store or any other luggage or luxury accessories store. Due to the OpenCart e-commerce plugin set, it has a cart, wishlist and compares features. It also has pre-built pages you can fill with products or edit as you wish. Moreover, you need no coding skills to change it.